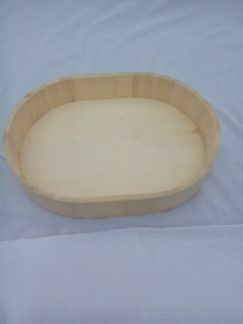 Natural food safe display tray. 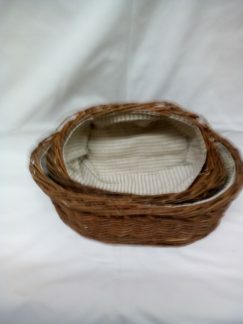 Hand woven in white willow with a vertical plaited edging. 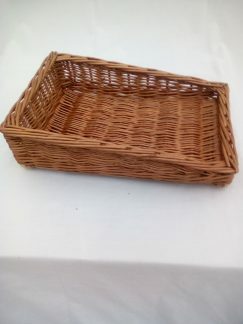 Suitable for ch8illed cabinets or shelf/countertop food display. Reduced to clear. 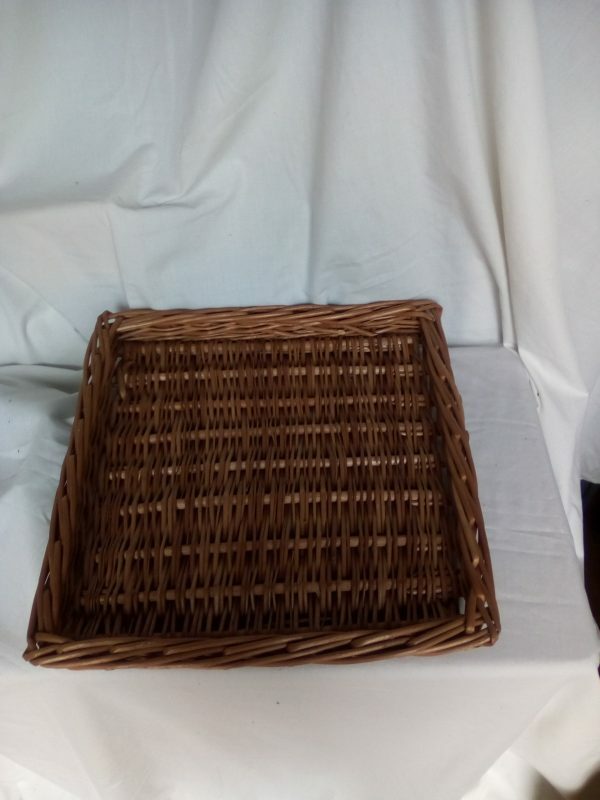 Smarten up your display with these economical hand woven trays.